Zero Tolerance and Rick Hinderer teamed up to build the 0562 with its exclusive Hinderer "slicer" grind. The 3.5-inch blade with flat-ground “slicer” grind provides slicing efficiency and a tough point, while the Crucible S35VN powdered stainless steel composition offers excellent toughness, wear resistance and razor-sharp edge retention. 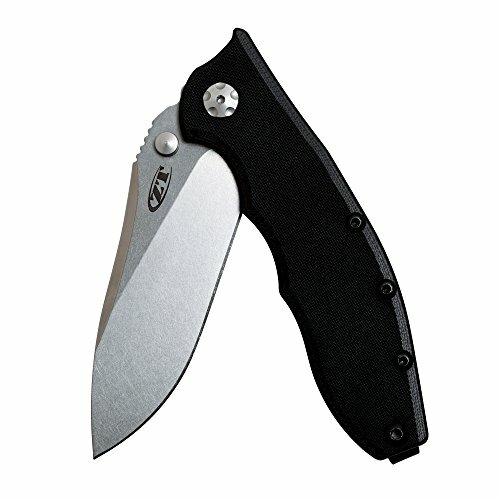 The 0562 easily opens with a built-in flipper, gliding out of the handle on a smooth KVT ball-bearing opening system. A simple pull back on the flipper and add a roll of the wrist will ready the 0562 for action. The knife’s handle has a G-10 textured scale in front and a stonewashed titanium back. For secure lock up during use, ZT uses a frame lock with hardened steel lockbar inserts and lockbar stabilization so the lock won't overextend. The unique deep-carry pocketclip is reversible for a convenient left or right-handed carry, discreetly sitting low in the pocket. Expertly designed and engineered with precision, the 0562 is ready for anything.